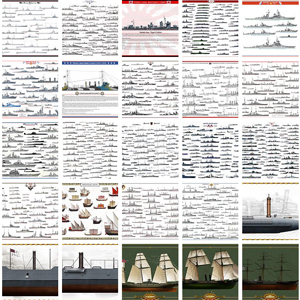 Although the war at sea in Europe saw few “big guns” engagements (no Jutland equivalent here), Admirals still played a major part in many operations, from the long battle of the Atlantic to shore bombardments in North Africa, Sicilia, Italy, and France, and naval battles in the Mediterranean. However this was in the pacific that things really get nastier for these top brass, obliged to take history-making decisions, sometimes responsible of the fate of their entire nations on a dice roll. No Top ten here, although some of these admirals would deserve fully-fledged biopics as their career was long and outstanding. Viscount Cunningham of Hyndhope, born in Dublin, son of a distinguished Scottish doctor who had become dean of the University of Edinburgh, young Cunningam served early on the Britannia, Fox and Doris, taking part in the Boer War. Then he was promoted commander of a torpedo boat, and destroyer during the great war. Andrew Browne (nicknamed “ABC” in the Navy), crossed the ranks and in 1937 became vice-admiral with the command of cruisers, then the battleship Rodney. He then commanded a squadron of destroyers in the Mediterranean, then battle cruisers, and became Deputy Chief of Staff in 1938. As a great connoisseur of the Mediterranean (over 30 years of service), he became commander-in-chief Of the Royal Navy in this sector in 1939. He finds himself faced with the worst of situations when Italy entered the war in June 1940, with a powerful Italian fleet, a French fleet about to be captured, and its own fleet weakened by transfers in the Atlantic. With great skill he managed as ordered to “deactivate” the French fleet in his area of Alexandria (Operation Catapult). Later adopting a decidedly aggressive tactic, he managed to inflict several crushing blows to the Regia Marina, including the famous Taranto raid that inspired Pearl Harbor. In general, he was the pivot of British defense in North Africa, protecting with his means the vital Suez canal against the regia marina assisted by the Luftwaffe. He received the surrender of the Italian fleet at La Valette harbour in 1943, then became first Lord of the Sea, following Sir Dudley Pound. Honored Admiral for life, he remains one of the most emblematic Royal Navy officers in history, the “Nelson of the Second World War”. Probably the most famous and controversial French admiral of the war, he was above all a convinced “vichyst”, known paradoxically for his action of turning the fleet to the allies, following Operation Torch. An officer instructor on the Jeanne d’Arc cruiser, then commanding a mobile navy battery on the front during the great war, he was promoted commander of the fleet, including the Atlantic squadron in 1939. Well introduced into the political spheres and personal friend of Georges Leygues, Minister of the Navy, he was promoted by Leon Blum in 1937 to the supreme rank of “Admiral of the Fleet”, Commander-in-Chief of all naval forces. Nicknamed “the Red Admiral” for his political loyalties to the popular front by his opponents, he effectively reorganized the navy and launched large-scale programs, including those of the first French carriers, and made accurate suggestions for the defense of the northern front, not retained by Gamelin. Faithful of Petain, he would enclose the fleet in a dead end, only leading to British attacks and captures. Hardly struck by the drama of Mers-el-Kebir, he became openly Anglophobic, fervent supporter of the collaboration. He went so far as to lend to the Kriegsmarine in Syria several naval bases, and it was even assumed that he had prepared for a joint offensive with the axis in that sector. Following the allied landings in North Africa and under the pressure of General Juin, he signed a ceasefire. He was gradually marginalized by Vichy, loosing the confidence of the Nazis. Disavowed by Petain, he eventually took command of the empire as high commissioner, under the close surveillance and support of the Americans, only to see the scuttling of the fleet he promised. He was assassinated on 24 December 1942 by a young pro-Gaullist student, Fernand Bonnier de la Chapelle. Born in 1914 on board the Breslau, he moved to submarine command in 1916, with a beautiful “chart”. He was taken prisoner in the Mediterranean in 1918 following the destruction of his U-Boote, interned in Malta, and was released and assigned to various positions in the German temporary navy. In 1934, the Anglo-German naval agreement gave him the freedom to reconstitute the submarine fleet, but he found himself in the face of the backward views of Grand Admiral Raeder. However, he developed the “Rudeltaktik”, or pack tactics, which was successfully undertaken until 1943. In 1939 he was able to hire only a handful of ocean submersibles. However, with the fall of France and the new bases gained on the Atlantic, this strategy takes on its full meaning. In spite of the ASDIC, the subtle shots of submarines (like the U-47 of Prien) begin to make Hitler doubt of the resistances of Raeder, especially as surface actions are often disappointing (Graf Spee, Bismarck). After May 1940, Hitler was more circumspect, forbidding even more surface exits, but gave carte blanche to Dönitz, and in particular impressive means: The construction of U-Bootes will increase, in spite of the programs of classic construction. 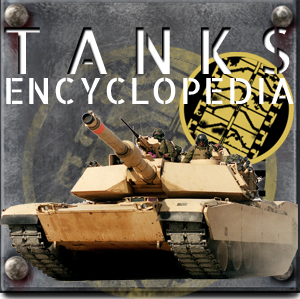 In 1942, the packs of gray wolves are at the top of their action, with 400 units engaged in the Atlantic, saturating the defense of the convoys. The situation became critical for the Admiralty, which urged the US to go to war. Dönitz was promoted Grand-Admiral and Commander-in-Chief of the Kriegsmarine, succeeding Raeder, disavowed. But shortly after his appointment, the US entry into the war and its tremendous material means gradually blurred the U-Boats, then in 1943, making it almost impossible in view of the losses. However Dönitz is relying on a new generation of U-Bootes, the revolutionary types XXI. Faithful to Hitler, Dönitz will retain his confidence and become his official dolphin after his suicide in his blockhouse in Berlin in 1945. In a week, he will only transfer his armies to the west to avoid their capture by the Red Army And will negotiate with the allies, without success, for a common front against the “reds”. He signed the capitulation, and was arrested two weeks later with his collaborator Albert Speer. He was brought before the Nuremberg court and sentenced to ten years for having prepared a war of aggression and supposed to have condoned the killings (controversial after the “Laconia” affair) of shipwrecked. 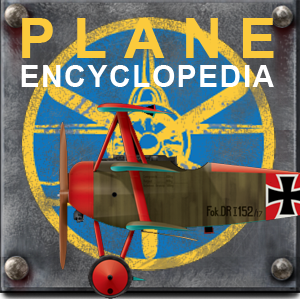 An officer in 1904, commander of the destroyers during the great war, he became naval attache in Berlin in 1919, then in Scandinavia, will still have some commandments before graduating from the Naval Aviation School at the age of 52, obtaining his pilot’s license. Very popular, he rose to the rank of Rear Admiral commanding Saratoga, then the 2nd Division of Aircraft Carrier, and Vice Admiral with the command of the Pacific fleet. Following Pearl Harbor and the destruction of the bulk of the classic fleet, he has to face with the remaining aircraft carriers and is conducting an offensive to the Marshall Islands and Gilbert, taking over the Doolittle raid. The “Taurus”, impulsive, energetic and tenacious, is absent for health reasons in Midway, but then exercises all its authority on the South Pacific, organizing in particular the offensives of Guadalcanal and the Carolinas. He was the artisan of the reconquest of New Guinea, of the New Georgia, of the Bougainville. He was then appointed to the head of the powerful Third Fleet and had to take the decisive blow to the Philippines in 1944. His impulsiveness almost caused the Japanese plan to succeed in Leyte, but the crews would behave wonderfully, reestablishing the situation. With Spruance, he completed the reconquest by destroying the rest of the Nippon fleet in Kure and Tokyo, and preparing for the landing on the island of Honshu. It is aboard his battleship Missouri that will be signed the capitulation of Japan putting an end to the war. An officer in 1908, he participated in the Great War as an observer with the Royal Navy, then became shooting director of the battleship Arizona. While specializing in artillery, he obtains other commands and becomes a diplomat, participating in the disarmament commission in Geneva within the American delegation. Then he became naval and air attache to the Italians and Yugoslavs from 1938 to 1941. After Pearl Harbor, he became engaged as rear admiral, commander of the fleet of cruisers of the Pacific, and then commanded a task force grouped around Of the Enterprise Carrier. With this force, Kinkaid will be the hardest engagements from 1942 to 1944, showing qualities of remarkable cold blood, organization and tactical genius. (Gilbert, Marshall, Wake, Marcus, Coral Sea, Midway, Guadalcanal, Santa cruz, Solomons). He was then sent to expel the Japanese from the Aleutians, to occupy Attu and Kiska, and was then propelled to the head of the Fifth Fleet under the direction of Marc Arthur and engaged during the whole reconquest of the Philippines. Participating in the Battle of Leyte and Surigao, he was the main craftsman of the destruction of the Nippon fleet. He was then engaged for the reconquest of Luzon, Borneo, and then went to Korea in 1945 to receive the Nippon capitulation. He became the Admiral and took over as head of the Atlantic Reserve Squadron until 1950. Leahy left the Annapolis naval school in 1897 and fought in the Philippines in 1898, in China in 1901 (the Boxers revolt), then in Central America, Nicaragua and Cuba in 1912-14, commandant of the gunboat Dolphin, As in Mexico in 1916. He is a very experienced man who is entrusted with a cruiser, operating in the Mediterranean, then in the Atlantic from which he climbs the ranks: In 1921 during the Greco-Turkish War, In charge of the command of the American fleet in the Aegean Sea. Rear-Admiral in 1927, he was Vice-Admiral in 1935 and Admiral in 1936, and Head of US Naval Operations. Eminence gray of Roosevelt, he advised firmness to him during the Japanese offensive in China, when the gunner USS Panay is destroyed, but is not followed. Reached by the age limit in 1939, he became governor of Puerto Rico, then joined to Vichy as ambassador in 1940, of which he denounced the collaborationist drift. Recalled to Washington, and still having Roosevelt’s confidence, he will accompany him as chief of interallied staffs, participating in major conferences until the end of the conflict, being assigned a function of Allied defense organizer To the USSR by Truman after the war. After leaving the naval school of Toulon, and a campaign in the Far East in 1902-05, Emile Muselier fought n the front in the great war, as an artillery batery officer, first under the command of Admiral Ronarc’h, in champagne, and in Belgium. After the war, he was heading the naval control delegation in Germany. In 1933 he became Rear Admiral, commanding the Tunisian fleet and the 2nd Division of Cruisers. He was in charge of the defense of Marseilles and was appointed Vice-Admiral By darlan in October 1939. Refusing the armistice, he joined Gibraltar on board a cargo ship, and then by plane London where De Gaulle appointed him commander-in-chief of the FNFL (Free French Navy) and provisionally he organized the FAFL (Free French Air Force). Despite Operation Catapult, he continued his recruitment, and famously proposed a new navy pavilion showing a cross of Lorraine (symbolizing Jeanne d’Arc), lated adopted by the Free French at large. Difficult relations with De Gaulle have him assigned to Algeria in 1943 with General Giraud to maintain order. Compromised in a Putsch against De Gaulle, he was deprived of any official function until his appointment as head of a naval delegation charged with German affairs in 1945. Descendant of an illustrious family of samurai, Nagano is one of the pillars of the imperialist party Nippon. Released in 1900 from the naval academy, he entered the war school but also made his right to Harvard. Having become a commander, but without participation in the Russo-Japanese war or the great war, he was an officer on the Nisshin, the Iwate and the Hirado. He told the naval attache of the Nipponese Embassy in Washington. Against Admiral, he was appointed head of the fleet of the Yangtze, and the squadron command, and holds leadership positions as the direction of the Naval Academy, or as head of state of the Assistant Or assist the Director of the Naval Training Office. He participated in the London naval conference in 1930, trying to get more resources for his fleet. He was then delegated to the Geneva and London Conferences of 1936, withdrawing Japan for lack of agreement on the limitation of armaments in his favor. He then became Minister of Marine of Hirota Cabinet in 1936. 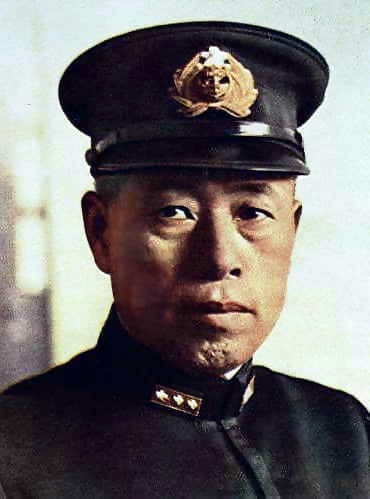 In April 1941 he became chief of staff of the navy, and directs all naval strategy, well attended by Yamamoto. But the back of the fleet in 1942 and its inaction in 1943 are reported to be his responsibility, he assumed and resigned in 1944. Captured in 1945, prosecuted, convicted of war crimes Japanese diet, And dies in prison. An officer in 1908 and a torpedo specialist, he commanded a destroyer in 1917 before entering the war school, then climbed the ranks quickly, captain, then rear-admiral and finally vice-admiral in 1939 Destroyers flotillas, but also Takao and Yamashiro. Curiously then, he took the command of the naval aviation, still little considered. At the head of this first fleet he led brilliantly the attack on Pearl Harbor, the destruction of the Repulse and the Prince of Wales, the Dorsetshire and Cornwall cruisers, the Hermes aircraft carrier, the Dutch fleet, the ABDA force, Chased the Royal Navy from the Pacific and the Indian Ocean, and ensured effective coverage of all operations of conquest until the end of 1942. But he also made the unfortunate decision to change, at the last minute, armaments of aircraft which would eventually lead to the destruction by the American naval aviation of the bulk of its force at Midway. Then it will be the Solomons. Santa Cruz will be a Pyrrhic victory, and he will not be able to clear Guadalcanal. His disgrace would only be temporary, for in 1943 he returned to the head of a new carrier force but wiped another defeat to the Mariana in an attempt to defend Saipan. Associated until the end with General Saito defending the island, he eventually committed Seppuku. This quiet and introverted Texan left the school of Annapolis in 1905, served in Manila before preferring the submersibles and became the chief of staff of this fleet in 1917. Affected in Hawaii, School of War, he joined the naval staff. He was noted for his qualities as a captain, was assigned to the training of reserve officers, then became director of the shipping office in Washington, and became a rear admiral in 1939. He then trained naval officers. Following the Japanese attack in the Hawaiian Islands, he was promoted to Vice-Admiral and became Commander-in-Chief of the Pacific Fleet. Under his vigorous leadership, the staff is reorganized and priorities set. His first major decision will be to launch the bulk of the oceanic submersible force in the Pacific to ensure the disruption of Nippon traffic, and a total underwater warfare. He directs and creates the task forces that will bomb the Gilbert and Marshall Islands, as well as Doolittle’s bold raid. He also heads the US forces during the Battle of the Coral Sea, and indirectly saves Port Moresby. He took a major part in the victory of Midway, well supported by spruance and Fletcher. He then committed his forces to Guadalcanal, leading to a very aggressive and also very risky solution: The remaining Pacific fleet’s fate then had for a brief moment little more than one carrier, the USS Enterprise, and he did the most of it. Nimitz then embarked on a slow and costly reconquest of the Solomons, and in 1943 found himself at the head of a huge new fleet from the gigantic industrial efforts of the United States under the leadership of Admiral King. But a different one will quickly oppose him to Mac Arthur, a proponent of a reconquest of the Pacific West, including the Philippines, while Nimitz wants to go up the island to Okinawa. He devised a combined tactic promised to a great success, operating against the bases of Rabaul and Truk, which he took over, and advanced gradually towards the Mariana. In September 1944, however, he rejoined MacArthur’s forces in the Philippines and confronted the Japanese forces in the immense battle of Leyte. Despite Halsey’s impulsiveness, he managed to trap the big units of the Nippon fleet and destroy his last aircraft carriers. He later engaged a real Maelstrom in front of Iwo Jima and Okinawa, wiping away swarms of kamikazes almost without loss. He again opposed Mac Arthur on the question of whether or not to conquer Japan, Nimitz preferring a blockade and naval operations designed to bend the Japanese government. But the atomic bomb will solve this question and it is Nimitz who will sign the act of surrender aboard the battleship Missouri. The press will finally be grateful to him for his efforts in the face of a Mac-Arthur hitherto more media and he will be entitled to a triumph in Washington on his return. He was appointed “Admiral of the Fleet”, an honorary higher rank, and then fully engaged in politics as a UN administrator, regulating the Indian question. He retired in 1951 from politics as well as from his command. He joined the navy in 1906 and was enthusiastic about the victory of Port Arthur, who quickly specialized in the question of torpedoes and destroyers in 1916. Captain of a frigate, then of ship, he commanded the cruiser Maya then the ship of line Haruna. Rear-Admiral in 1936, then Chief of Staff of the Combined Fleet, he commanded the 1st and then the 3rd Naval Aviation Squadron. Vice-Admiral in 1941, after serving as Director of the Naval High School, playing his role at Pearl Harbor, he then took over Nagumo’s leadership of the forces that destroyed the Dutch fleet and led to the conquest of Java and Sumatra. In 1944, he was to face Mitscher Task Force 38 in the Marianas, an offensive that turned into a disaster. In Leyte, he will take the lead of the “bait fleet” including aircraft carriers deprived of air force. He realizes his share but the plan fails following the unexpected withdrawal of Kurita. He will finally take the lead of Kamikazes training for the defense of Iwo Jima and Okinawa. After the capitulation, he will not be disturbed by justice, having had no role in the decision-makers of the regime. Sailor by blood (born on the Isle of Wight), Pound entered the naval school in 1891, then became commanding officer in 1909 and instructor at the Portsmouth naval school in 1913. Captain and Lord Fisher’s deputy, He commanded the battleship Colossus and participated in the battle of Jutland. He served in the Mediterranean, commanding the Hood and the Repulse, and in 1927, after having commanded under Keyes, was appointed Rear Admiral, Deputy Chief of Staff. Vice-Admiral in 1930, he became commander of the Mediterranean squadron, then gave up his post at Cunningham, to be appointed in 1939 Admiral and First Lord of the Sea, and as Chief of Staff of the Navy , Will become a close counselor of Churchill. Particularly dynamic, although with a failing health, he spends without counting during the pursuit of the Graf Spee, the operations in Norway, the Dynamo operation (the Dunkerque embarkation), then the bismarck affair. He organized the best defense of the convoys of the Atlantic (despite the total loss of the PQ-17) until his deaths of exhaustion in 1943, in London. He entered the naval school in 1894 and retired as an officer in 1897, campaigned in the Far East, moved to the naval academy in 1904, and rapidly climbed the ladder. He was first assigned to the naval information service, then to the Imperial Yacht Hohenzollern, Lieutenant-Commander in 1912, and then Chief of Staff to Admiral Hipper during the Great War. 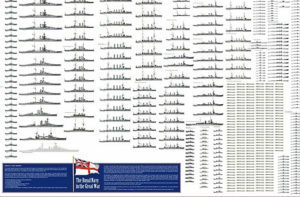 He will see the battles of Dogger Bank and Jutland. Captain of a frigate, then captain of cruiser, commander of the Köln, was called to berlin to direct the central section of the ministry of the navy, and was finally captain of ship in 1919. 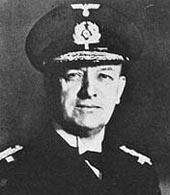 Rear-Admiral in 1922, Raeder commands the forces of The North Sea, then head of the Baltic station, and the Nazis out of respect for his career, offered him the command of the Kriegsmarine then reconstituted thanks to the naval agreement of 1935. He then developed an ambitious program , Plan Z, whose completion is planned in 1944, with the construction of 6 to 8 battleships, two aircraft carriers, and other surface vessels of which he is an unconditional of the old guard. Opposed to the visions of Dönitz, he enjoys the confidence of Hitler until the disastrous exit of the Bismarck against the English traffic. His views on Hitler’s strategy, including the attack on the USSR, brought him a growing animosity by the leader of the Third Reich, consummated when the Hipper group operating in the Arctic was destroyed. Hitler decides to disarm the surface fleet in favor of the submarines, and Raeder resigns in January 1943, replaced by Dönitz. Having never been a proponent of the Nazis, Raeder frequently opposed attempts to “purge Aryan” naval personnel. He was nevertheless tried and sentenced in Nuremberg to life imprisonment and released in 1955 on account of his age. He died 5 years later. A commanding officer, after being appointed lieutenant in 1898, Sommerville was at the head of various staffs during the Great War. He was recognized and decorated (DSO) for his service during the Dardanelles expedition (Amiral Robeck), and became director of communications at the Admiralty during the 1920s and before the command of Norfolk. Admiralty staff, and was appointed Commander-in-Chief of the Far East Squadron. He became interested, then specialized in radars, and was recalled to the Admiralty, assistant Ramsay during the evacuation of Dunkirk. 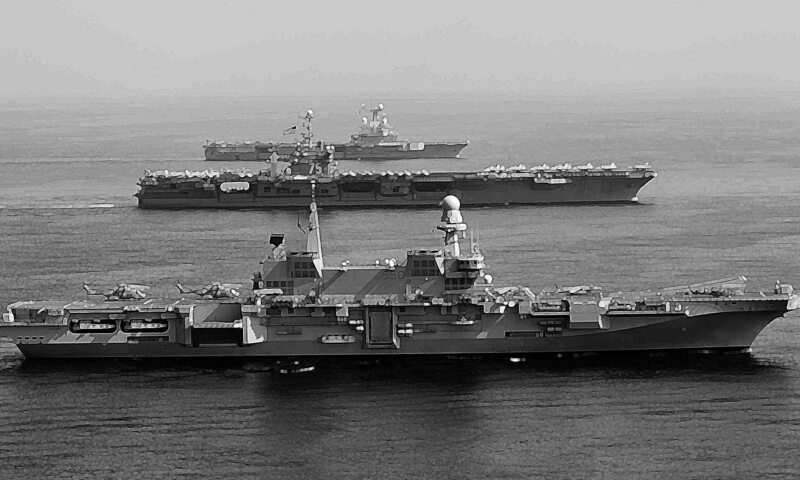 It is Sommerville who will have the heavy task of firing on the French fleet at Mers-el-Kebir near the capitulation. He then engaged the Italians and fled them to Punta Stilo, bombed Italian cities, including Genoa, and in May 1941 brilliantly engaged his forces from Gibraltar to sink the Bismarck. He then returned to the Far East fleet in April 1942, succeeding Layton, himself a follower of Philips, but undergoes the attacks of Nagumo and Ozawa and is obliged to replicate his surviving forces on the East African coasts . Vice-Admiral, he was seconded as a delegate of the British Admiralty in Washington and in 1945 was appointed Admiral. He then left his post and died shortly thereafter. Released from Annapolis in 1903, “Ray” Spruance served aboard Iowa and Minnesota as an officer, with the skills of an electrical engineer. Recognized in these skills, he will be assigned to the technical services of the navy and large shipyards. He made war school in 1926-27, was ship’s captain in 1932, commanded the battleship USS Mississippi in 1937, freshly rebuilt. He will also command the naval district of central america, before becoming chief of naval operations in Washington. At the head of a division of cruisers of the Pacific fleet in 1941, he replaced Halsey, sickly, with happiness at Midway. Impressed, Nimitz then appointed him vice-admiral, and he became his chief of staff. He then commands the Fifth Fleet in charge of the peaceful center, brilliantly resumes the Gilbert Islands, Marshall, and develops and executes the Truk raid. He became Admiral and began his campaign in the Marianas in 1943. He then commanded the naval forces deployed at Iwo Jima and Okinawa in 1945. He was then Commander-in-Chief of the Pacific Fleet and later Diplomat at the request of Truman, In 1955. Lieutenant of the ship during the great war, he served aboard the Faulknor and the light cruiser Amphion. Known for his brilliant maneuver on the Onslow in Jutland, he was appointed frigate captain in 1916. He was subsequently deployed to the 2nd lord of the sea, then became captain of the ship, commanding the battleship Rodney and the Cruiser Chatham. 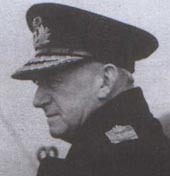 Rear Admiral in 1938, he commanded a squadron in the Mediterranean, and directed the convoys to Malta and the Middle East. In July 1940 he was vice-admiral and commanded the light forces of the Mediterranean, illustrated at Punta Stilo, and was summoned to London to take over as head of the Home Fleet, succeeding Admiral Forbes. He then took on the heavy task of escorting the convoys, and directed the combined actions against the Bismarck, before organizing and controlling the convoys of the Arctic. He will be responsible for the destruction of the PQ17 by giving the order of his dispersion, which will earn him the wrath of Churchill. But protected from Cunningham, under whose command he had served, he remained at his post. In 1943, he became an admiral and actively prepares the “D-Day” operations. Of French origin (Huguenot), Vian leaves as an officer the naval school of Dartmouth and served aboard destroyers during the great war. He climbed the ladder and in 1934 became captain. In 1939, he was awarded the honors of the press by capturing the tanker Altmark (supplier of the Graf Spee), as commander of HMS Cossak, carrying out an old school boarding commando operation. Speaking French, he headed the Franco-British operations at Narvik at the head of the 4th flotilla of destroyers. He then committed his forces against the Bismarck and was named afterwards at the head of the XVth Division of Cruisers under the orders of Cunningham in the Mediterranean. It is Vian who will keep the supplies of Malta at the worst hours of his siege, and will illustrate himself during the second battle of the Great Sirte. Under the orders of Ramsay, in 1943 he went to protect the landing in Sicily and then in Normandy the following year. He then took the lead at the end of 1945 of the British Carrier Task Force which will engage the reconquest of the sector of the Indian Ocean. He also participates in the assault of Okinawa. Vice-Admiral and Fifth Lord of the Sea in 1946, he became Admiral and Commanding Officer of Home Fleet in 1950. 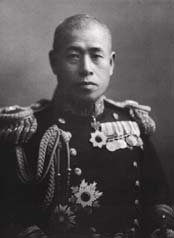 Undoubtedly the most famous Japanese admiral of the war, Yamamoto was recognized as an unparalleled tactician, a talented organizer fully aware of the possibilities of the plane in naval warfare. Orphaned and adopted by the Yamamoto family, he entered the naval school of Yetajuma, and it is as a young officer that he engages during the Russo-Japanese war, on the Nisshin. Wounded at Tsushima (loses two fingers), he is fascinated by the possibility of torpedoes and consequently attends classes at the torpedo boats school. He left in 1908 with the rank of lieutenant. After further studies at the Navy High School, he returned to the Staff of the Second Fleet in 1916 and then to the Military Affairs Office. In 1919 he studied at Harvard, and in 1925 he returned to the United States as naval attache and then delegated to the London conference in 1929 where he pleaded in vain for the parity of the Japanese fleet with those of the USA and Great Britain, likewise at the second conference which will see Japan withdraw. He was then Rear Admiral, and Deputy Minister of Marine, Chief of Staff of the Air Force. Violently anti-American, he urged the government to accelerate the arms programs, introduced very advanced methods of training for the crews, and was an indefatigable advocate for aircraft carriers of which he knew the potential. The performance of the combined fleet at the beginning of 1942 is entirely due to him. In 1941, he was promoted to Admiral, set up the main lines and led Operation “Tora”, the attack on Pearl Harbor. In the direction of the forces of the Pacific he unfolded his forces with great success, and personally commanded his forces at Midway. He is surprised at the American response and in the face of disaster, is obliged to give up the operation against the island. He was then criticized for not having committed his remaining considerable forces in the Solomons, leaving the Americans the initiative, winning with his “tokyo night express” still some successes at the expense of the American cruisers and supplying his troops. Although he was a virulent critic from the USA, he had warned the Tojo government against aggression in the country. The admiral died when his transport was abased by American fighters in the Solomons, who were ignorant of his precious passenger.